Recruitment Bootcamp is the only intensive training program specifically designed for people wanting to join or are new to agency recruitment. It mixes Online Training Modules, Live Training and THREE months of coaching & support and for those without a role, we even try and find you a job when you have finished the course! 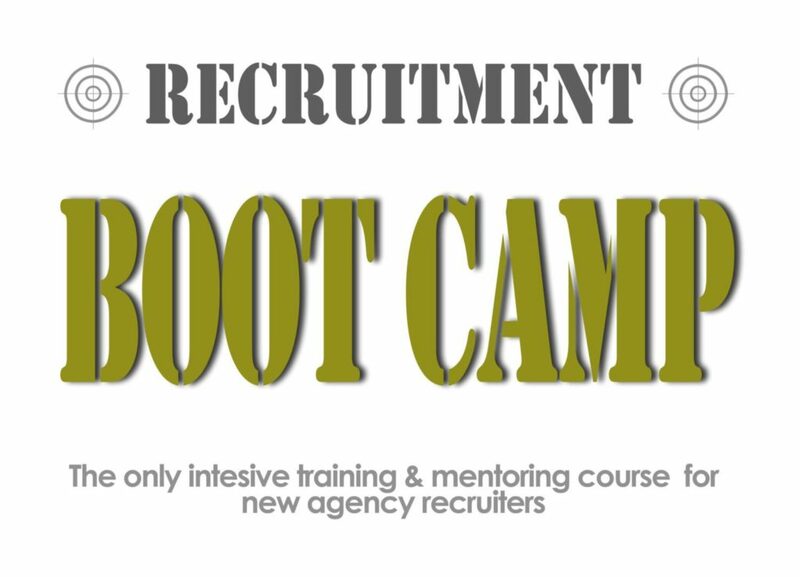 Recruitment Bootcamp has been specifically designed for those new to (or wishing to enter) the Recruitment industry. It is our Recruitment Ninja course, packaged with live training and three months of group support (after your course is complete) to help you get up and going. Recruitment Bootcamp contains a self-learning program and requires a minimum of 1 hour per module. There are 19 modules which can be completed over a period of time. The live training is 3 lots of 2 hours which is used to consolidate the learnings from the modules and is unable to be taken unless you have completed the appropriate modules. Have a basic understanding of corporate structures. For those who have yet to find a job in the recruitment industry, as an added benefit, once you have successfully completed the Recruitment Bootcamp course (up until the coaching element) we will post (with you permission of course) your details on our website for employers to assess to save you looking for a job.